Fall is the perfect time of year to enjoy a nice, warm bowl of macaroni and cheese. I know my two boys are HUGE fans of all that cheesy goodness. 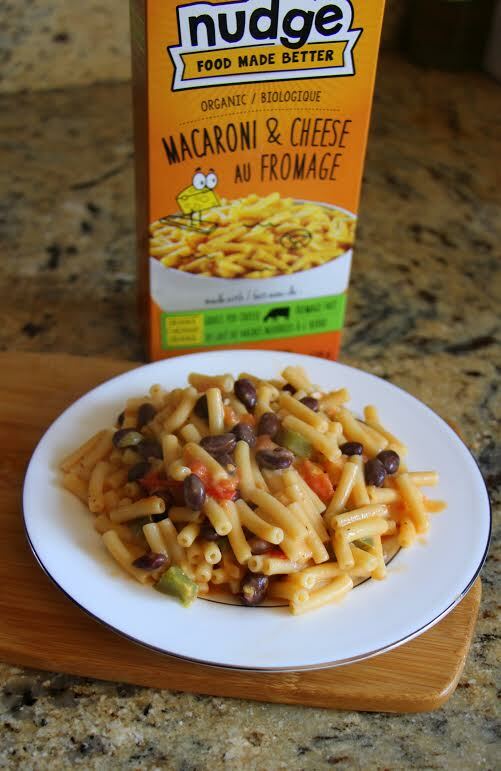 As a family we like to add a little bit of variety to our bowl of macaroni and cheese (keeps meal time exciting!). 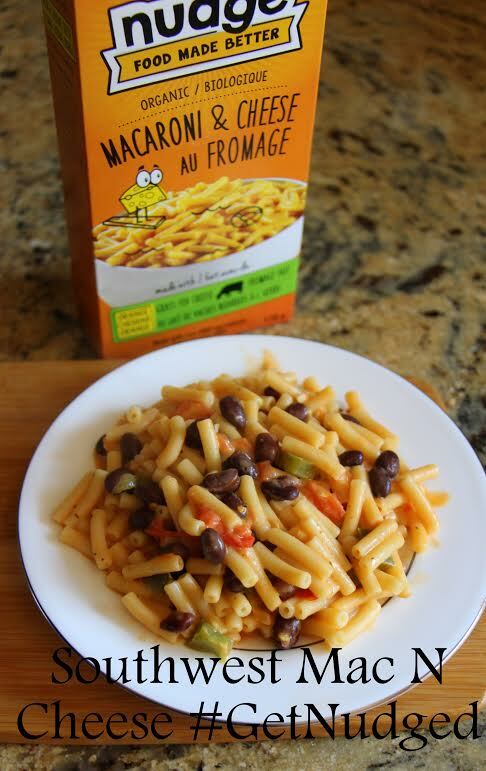 To spice it up a little, try a spin on one of my favourite recipes, Southwest macaroni and cheese. 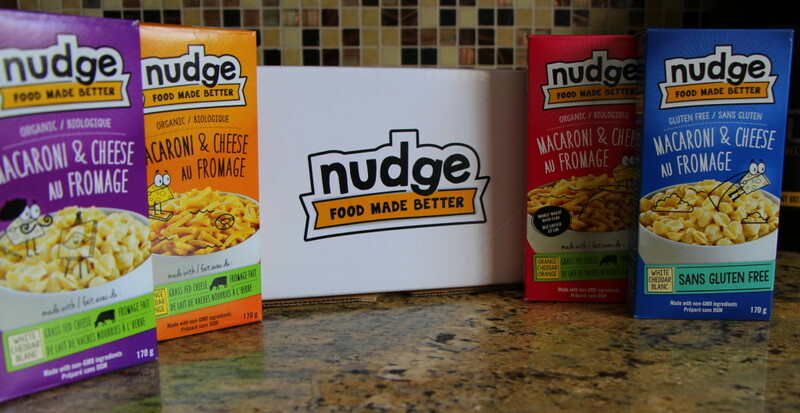 Prepare the box of Nudge macaroni and cheese as directed and set aside. In a frying pan, warm up the coconut oil and add in the green peppers and garlic gloves. Allow them to cook until softened and golden. Add in the black beans and cook for one to two minutes. Add in the cup of diced tomatoes. Cook until the tomatoes are softened. On a medium setting on our stove this took just under five minutes. You can use salt or pepper if desired to taste. 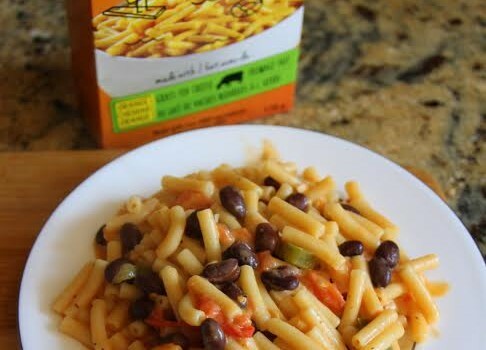 Mix in the tomatoes, black beans and green peppers with the macaroni and cheese. 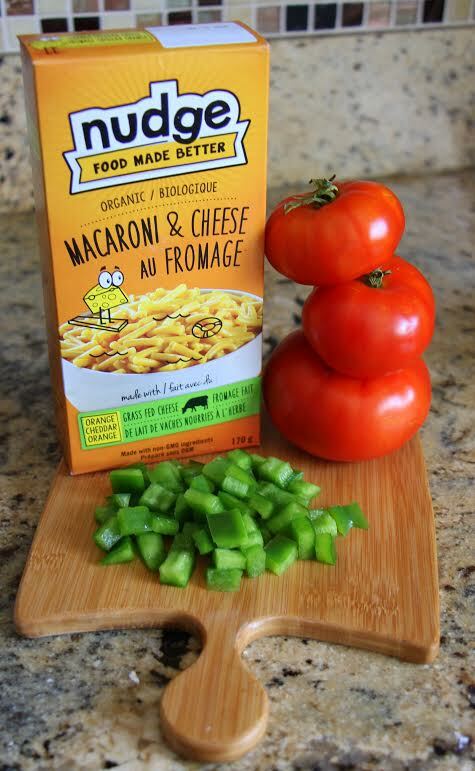 Enjoy your southwest macaroni and cheese! Do you have a favourite macaroni and cheese recipe? Disclosure: I received the above mentioned product free of charge. All opinions expressed are my own. This entry was posted in recipe, recipes.